The gas engineers at ODH heating are hired by leading estate agents and landlords throughout Belfast to replace, repair and maintain gas boilers and other gas appliances. Our teams are renowned for the quality of work carried out. At ODH we source all our spare parts with the utmost speed ensuring that our work is carried out as quickly as possible and reasonably priced. We can be relied on for all your boiler repairs and servicing. All our commercial and home gas boiler services will be carried out with the least inconvenience to ensure that you endure very little hassle, because of the disruption to your home or business. We aim to be in and out as quickly as possible. 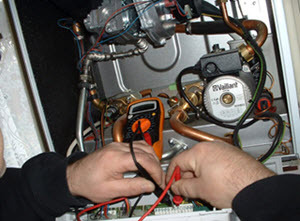 We can repair, install and maintain all makes and models of boilers. When it comes to replacing or installing new boilers we are second to none in Belfast and beyond. We can advise you on the best boiler to suit your needs. When it comes to pricing you can be sure there will be no hidden charges. All our prices will be agreed up front. And many more. Just give us ring to discuss your needs. We are an established team of gas engineers with many years of experience and expertise. Because of our success we are now able to offer our customers a 24 hr emergency service, to make sure none of our clients are ever left without heating or hot water, no matter what time of day or night. Whether you need an emergency repair or installation we are on hand to do the job. Gas is a very dangerous substance and when boilers are left unchecked they can develop gas leaks. It is imperative that you get your boiler checked to make sure this hasn’t happened to the appliance in your home or commercial property. All the major boiler manufacturers recommend regular servicing. Not only will a service save you money long-term but it could also be life saving. Carbon monoxide leaks can be fatal. Water leaks can cause massive damage to your property. Don’t risk either for the sake of saving yourself a few pounds. We can check for both at a very reasonable price. All our work is 100% guaranteed and carried out by fully qualified Gas safe registered engineers. We are the industry experts on gas appliance servicing in Belfast. Don’t settle for low quality tradesmen, who through poor quality work, could end up costing you more money in the long run or worse still put your safety at risk. ODH Heating are also covered by public and professional indemnity insurance. This covers us for all eventualities. We also offer bathroom installations where we can completely refurbish your bathroom at competitive rates. Click here now to request a call back or give us a ring on 07730 325176 and to discuss your requirements.